to reduce pain and increase mobility. Birmingham Hip Resurfacing restores the natural shape of the joint which means that after surgery you are more stable and can be more active. 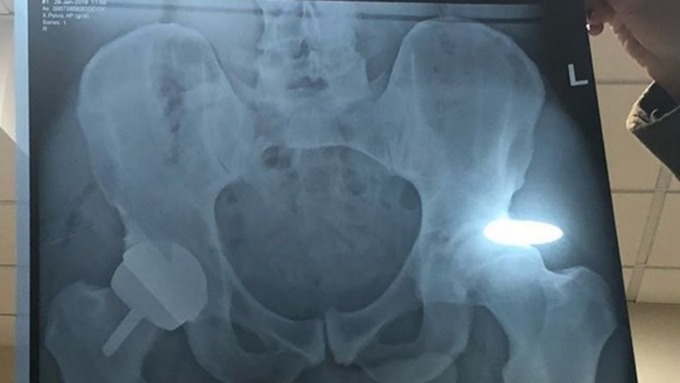 Hip resurfacing differs to a total hip replacement because it conserves the bone and the femoral head is shaped to accept a metal sphere. The sphere matches your anatomy, meaning there is a low risk of dislocation and a broad range of movement. The procedure was created by two surgeons here at The Royal Orthopaedic hospital, Mr Derek McMinn and Mr Ronan Treacy. The surgery is performed here regularly by our hip consultant Mr Ronan Treacy. The Birmingham Hip Resurfacing is manufactured from Cobalt Chrome, which has a proven clinical history of over 40 years. The BHR's unique design remains unchanged in its 14 years of clinical use. The BHR is also the world’s most successful metal on metal hip resurfacing system with over 140,000 implantations globally. Mr Andrew Pearson, Medical Director and Consultant Orthopaedic Surgeon. Talk to your GP to see how we can help you with hip pain.